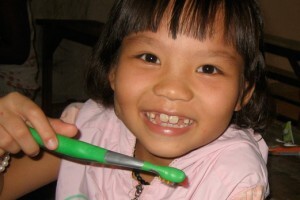 There are many ways you can help save smiles worldwide! No matter the size of your gesture, it will make a substantial difference in a child’s life. We thank you for your support! We are proud to be an all volunteer non-profit! Does PHS accept in-kind donations? PHS accepts toothbrushes (children and adult), toothpaste (children and adult), floss, toothbrush covers, stickers, exam gloves and fluoride varnish donations. For further inquiries on donating supplies please contact Michelle Patterson. Can dental offices donate crowns, bridges and PFM’s? 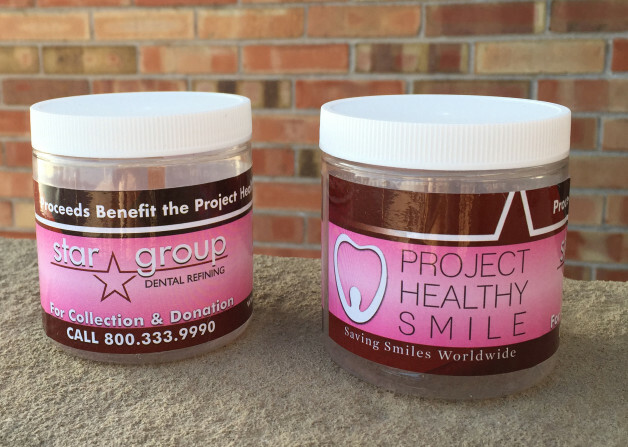 Star Group Refining is proud to sponsor Project Healthy Smile! If you are a dental office who believes in our mission to Save Smiles Worldwide you can easily participate by donating crowns, bridges and PFM’s (precious metals only, no amalgum). Star Refining will donate an additional 20% of the value of any donation! Please contact Vanessa Berrueta vanessa@projecthealthysmile.org for more information. Does PHS have a preferred supplier for in-kind donations? Can I apply monetary funds specifically towards dental supplies? PHS is excited to anounce our partnership with a Minnesota based dental supplier called Quantum Labs Incorporated. Quantum Labs carries toothbrushes, floss, TOOTHcases, exam gloves, toothpaste, and premium smile kits (includes TOOTHcase, toothbrush, floss and toothpaste) at great prices. The option to apply monetary funds as a credit towards dental supplies is also available through Quantum Labs. This option allows PHS to order specific supplies as needed. Upon a donation credit or purchase towards PHS through Quantum Labs, donors may request a tax-deductable receipt. Please provide Quantum Labs with all contact information. Can I donate to PHS through the Amazon Smile Program? Absolutely! PHS is registered with Amazon Smile. 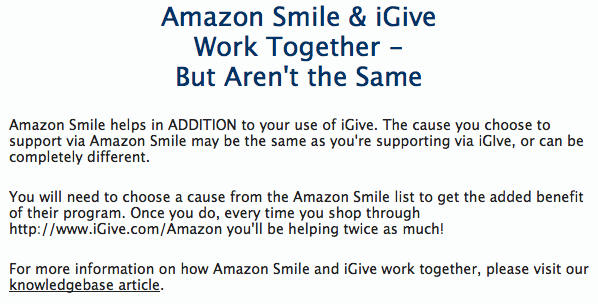 Just go to smile.amazon.com, log in and enter Project Healthy Smile as the organization you want to support. 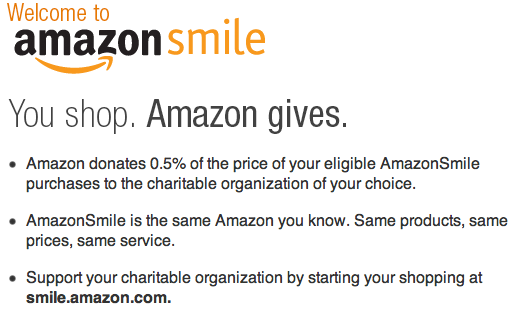 Every time you shop through smile.amazon.com, Amazon will donate 0.5% of your total purchase to PHS! Can I donate to PHS through the iGive program? Yes! PHS is registered with iGive.com. iGive makes helping your cause free and automatic. The iGive button is a simple browser app. It tells stores that you want a percentage of every purchase you make donated to your cause or charity, at no cost to you. Log in to iGive and choose PHS as the organization you want to support. Can I donate to PHS for my wedding, baby shower, holiday or special event? Anyone can easily create a fundraiser on Facebook. You can also fundraise or donate using Paypal. Help increase visibility for PHS and write a review on our GreatNonprofits.org page. Are there any volunteer opportunities with PHS? PHS does not have any opportunities for volunteers to travel on missions. However, you can become an agent for our cause and help sustain our programs in East Africa and SE Asia. This is a great opportunity for volunteers and their community to see their efforts make a direct impact on children in need worldwide. For those high school or college students who are seeking volunteer hours or credit, you can gain experience in non-profit organization fundraising. As an agent, you will represent PHS and create partnerships within your community to generate dental supplies, monetary donations, or aid in donations being made through our local wholesale dental supplier. All donations will go directly to the organizations we work with. Agents get to create their own schedules throughout the year or for a shorter time frame. It’s up to you! 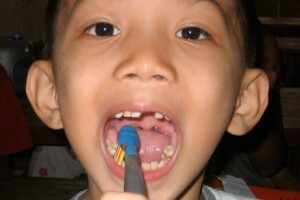 – Gather Dental Supplies – Toothbrushes, toothpaste, dental floss, and fluoride varnish treatments are always needed. You can create a long term relationship with your work, school, or community in gathering supplies, or host a one time dental drive! Many agents gain donations for a year and ship or drop of the donations quarterly. Please note: if you are located outside of Minneapolis, Minnesota or Atlanta, Georgia, the supplies will need to be shipped. Agents must pre-pay all shipping fees. Please keep this in mind when receiving donations. We suggest requesting small, monetary donations to cover shipping fees. An average size box can be $20+ depending on weight. All of your hard work in gaining supplies can be heavy, be prepared! – Start your own fundraiser- Use Facebook (instructions on creating a Facebook fundraiser above) or Paypal to set up a personal fundraising campaign and educate your community on why funds are so important for PHS. 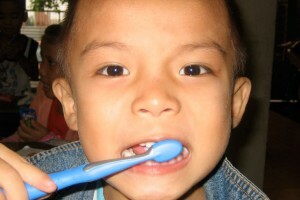 Monetary donations are just as crucial to sustain our programs as the direct giving of dental supplies. PHS implements and sustains these programs around the world, making sure to follow up on a regular basis. – Suggest a donation towards our wholesale partner Quantum Labs – Some people enjoy the ease of a monetary donation but want to know exactly where it is being used. This is the perfect answer. Reccomend a donation made towards our account at Quantum Labs. Potential donors love seeing dollars are used towards dental supplies, including gloves, masks, dental bags, and more! Our Quantum Labs account # is 48319. Project Healthy Smile is glad to partner with interested individuals and organizations. Please contact Hollie Mae Schultz // 612-871-7625 for further details. Can I choose PHS for my charity of choice with Giving Assistant? Yes! You can earn 5% cash back and donate a portion to PHS for free!